Sale - This week only! Get your warm weather reading lined up. This week only, enter promo code SUMMER and receive 30% off all downloadable items (books, back issues, and classes). Excludes pdf subscriptions. the soap and balms and salves classes (may take a long time to upload, depending on your connection). Be sure to look around while you're on the website. We've got some great herbal supplies and gifts. I've been pondering this post for a few days after a conversation with friends, but this morning I saw a photo of 4 men with 3 wheelbarrows and a trash can filled with morel mushrooms, and it pushed me over the top. I read that the mushrooms bring $50/pound in upscale natural groceries, and looking at the picture it was pretty clear the men were harvesting money, not food. The other day I was reading about someone stumbling across a patch of ramps and harvesting most of the bulbs. Having spent the last 20 years encouraging people to eat the wild fruits and vegetables around them, I have some very mixed feelings. On the one hand, when wild eats get mainstream recognition it can raise awareness and stoke an interest in learning more. On the other hand, it can create a trend if the food is considered 'upscale' or rare, sending people into the woods in search of gold with no regard to the delicate environment in which they grow. Wouldn't it be wonderful if foods like dandelion, chickweed, and lambsquarters became all the rage? What if the coolest restaurants decided to start serving purslane in a signature dish with a side of steamed stinging nettles and a dollop of ghee? Maybe an amazing seafood sauce created from the rampant garlic mustard and wild onions? Why do we only want that which we can destroy? I know that I am very fortunate to have access to just the right kind of land to be able to grow all of the trendy wild vegetables. We were gifted with a few shovels full of ramps several years ago, and they've spread beautifully. We still only harvest the leaves, allowing the plants lots of time to get themselves situated. Perhaps we'll never take the bulbs. The only time I've ever found morels, there were fewer than a dozen, so we left them to spread. I love all kinds of mushrooms, so can probably survive if I don't ever taste that specific variety. To my way of thinking, learning about wild foods is sort of the opposite of what happens when an uncommon, short-seasoned delicacy becomes popular. Instead of creating a pinpoint market for one or two vulnerable plants, why aren't we getting more to the point and enjoying all of the weeds rather than poisoning them in order to grow more soybeans and corn? Why are we taking the quinoa from the people who have grown and lived on it for centuries when we have lambsquarters with very similar seeds growing wild and free here? So while my personal social media feeds are filled with all sorts of delicious, nutritious, gorgeous wild food dishes - dandelion cakes, violet jelly, mashed burdock root, etc. - these things aren't getting the same adoring marketing from the media or the chefs that could be making a difference. Wouldn't it be great to eat at a restaurant that focused on wild vegetables and fruits? Now there's a trend I could get behind! Imagine the appetizers, soups, salads, main courses and desserts that they could come up with while keeping costs low. Imagine it. Each week in the spring, summer, and fall the menu would reflect the growing season in that region. In winter, they would serve what was preserved from that season, just as our ancestors did. It's free food. Is that the problem? That it doesn't cost enough? Whether you believe in climate change or not (and by now, that's sort of a silly question), learning to find nourishment around you is pretty important. With the droughts that have hit the major food producing states in the last couple of years, we would all do well to look around, learn what is edible, and start trying it on the table. Just as herbs belong to all of us, so do wild foods. When an artificial need is created for just a few, they are taken out of the wild food realm, separated from that which wild food educators have been working for years to accomplish. It doesn't make people more interested in investigating the plants around them, only serves to somehow rarify a few special plants. Like truffles or ginseng, we create these crushing markets. violet flowers and leaves are delicious and beautiful in salads, etc. So... yes, that's a rant, I suppose. Do me a favor. Eat a violet today. While you're weeding the garden, set aside a couple wild onions and use them in dinner tonight. Saute some garlic mustard with a scrambled egg. Just do it. The terminology and dogma of herbalism are ever-changing. I know I've mentioned this before, but when we started out several decades ago, there were relatively few people who were referred to as herbalists. Everyone else considered themselves to be enthusiasts or as just being "into" herbs. Now it has changed, and that's okay. You're an herbalist, you're an herbalist, everybody's an herbalist! In some dictionaries, the term is defined as one who studies herbs - so it's all good, and since there is really no legal definition in the US, it doesn't make a lick of difference. Then there are the (apparent) rules. There are many new ones, many of which are driven by the vastness of the internet and the many, many voices. Some of those voices are harsh, critical, and exclusionary though, and that is a shame. In some ways I suppose it's a good thing to have some homogenization of information, but in other ways it tamps down the creativity and freedom with which we approach the plant world. However, when there weren't a million herbalists, there wasn't so much jostling to reach the top rung of the imaginary ladder. That is creating a much less welcoming environment for those just starting to look around. I'm not sure we would have been able to navigate all of this back when we first started. We might have given up. There are hundreds of different levels of herbalism, and all of us approach it on our own terms. It seems that there is a lot of effort going on with people trying to pin down, label, and define a thing which is limitless and requires no boundaries. I'm particularly bothered by some of the rules and absolutes that people throw around. They are all well and good if one is living a pure and wholesome lifestyle, but seriously that is a very judgmental, myopic, and exclusive standpoint. We get bound and entwined by surrounding ourselves with people most like us, and forget that there's a reason there's a whole aisle filled with various brands of white bread at the grocery store. The oh-so-pure herbalist can chastise and look down on the rest of humanity all they like, but that sort of defeats the purpose in my opinion. 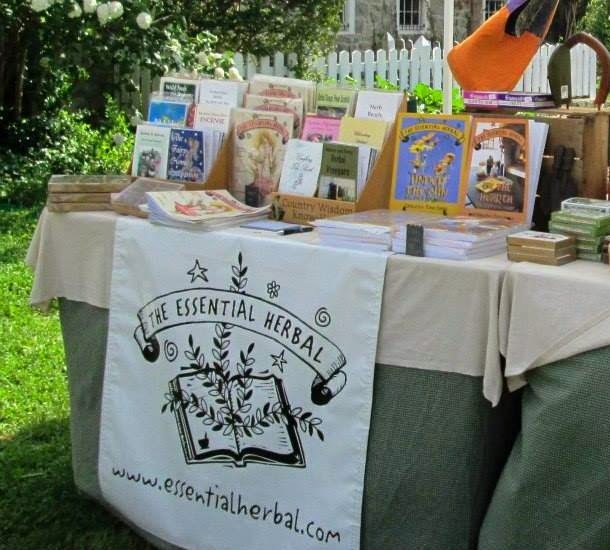 The goal as I see it, has always been to throw open wide the doors to herbs and welcome as many people as want to come in and learn that which is such a part of all of us. You want to find some herbs that will help with a chronic illness? Fine, you should not be shamed for using herbs like a pill. I believe that almost all of us first come to medicinal herbs that way. To hear some people talk about it, you'd think it was some kind of crime, but I'd be willing to bet they started that way too. Allopathy has been our mindset for 50 years and if it takes a little time to learn about prevention, constitution, energetics and all the latest jingo - it's fine. Hop onboard. You use sugar in your syrups because maple syrup and honey are too expensive? (insert any number of individual personal preferences that can be levied for or against one's practices here) Great! Just get started. Maybe in time you'll decide that you want to switch, maybe you won't. We're glad to see you working with herbs in a way that is manageable for you. Don't let other people make you feel like you're not doing it right because you're not doing it their way. You don't get enough exercise or eat right, but you still want to learn more about herbs? TERRIFIC! Nobody has the right to judge your lifestyle unless they're walking in the same shoes - and even then we are all individuals with different wiring. Maybe you're working too many hours and do what you can. Maybe you're caring for someone who saps all of your energy. Maybe you grew up in a family that considered fried chicken and fish to be health foods and vegetables were garnishes. Who cares? Come on in. You can work with herbs in a tiny city apartment or a many-acred farm. You can use dried herbs you purchased, or herbs you grew from seed in soil you amended with home made compost. You can call it a dandelion or a Taraxacum officinale. You can learn to fix the typical household complaints and run of the mill first aid, or you can take pre-med courses in anatomy and physiology. You can choose your own path. There is no one right way - and that is truly a beautiful thing. There are good reasons for most of the admonishments, so I'm not dissing them out of hand. We should use Latin names for plants so that they aren't confused. We should be learning all we can about how our bodies work and what we can do to strengthen them to prevent illness. At the same time, we must appreciate that there are a million reasons why people come to herbs, and they're not all coming from the same place. Those who have come before must be welcoming and inclusive, allowing each person to find their own comfort. 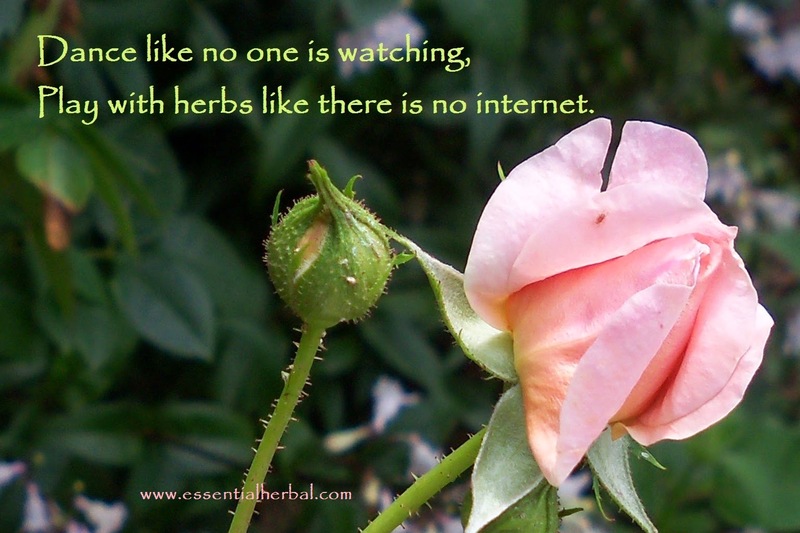 Nobody owns herbalism. It belongs to everyone, and each approach is valid. FINALLY... There are some real do's and don't's with herbs. Just because they are natural, doesn't mean they are harmless. Read books. Experiment. Learn from your mistakes. Start small, one herb at a time. Be comfortable.